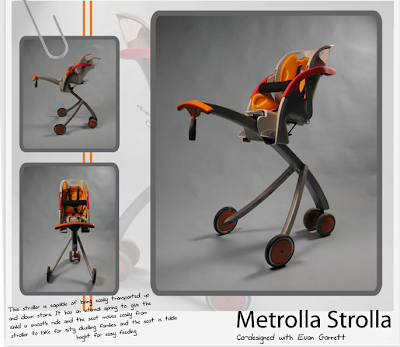 This concept stroller was designed for urban families by Dan Levin and Evan Garrett. The seat can disconnect from the stroller and connect to a bicycle with ease for a family that enjoys biking. The whole thing reminds me of a simpler version of the Stokke Xplory with zero storage, which may be a bit of a problem for shopping moms. Don’t expect to see this concept come to life anytime soon. The designer is fresh out of school and looking for employment.